Covenant United Reformed Church in Kalamazoo celebrated the arrival of its new pastor with a dinner and program on Friday, February 15, and an installation service during morning worship on Sunday, February 17, 2013. As the church welcomed Rev. Jeremy Veldman as its new pastor, it also bid farewell to Rev. James Admiraal, who has labored within the congregation for the last two years of its three-year vacancy. Former ministers Rev. Art Besteman and Rev. Phil Vos were also present for the celebration, which included special music numbers by choirs and a slide presentation depicting the church’s 20-year history. 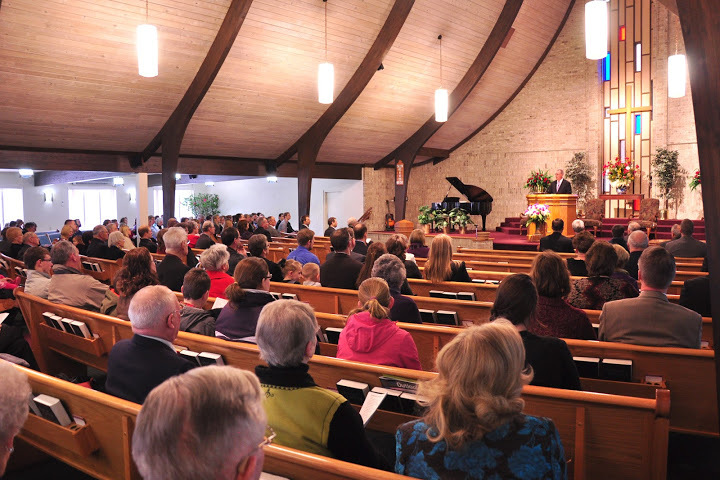 Music also enhanced the morning worship service on Sunday, February 17, when Rev. Veldman was installed. Rev. 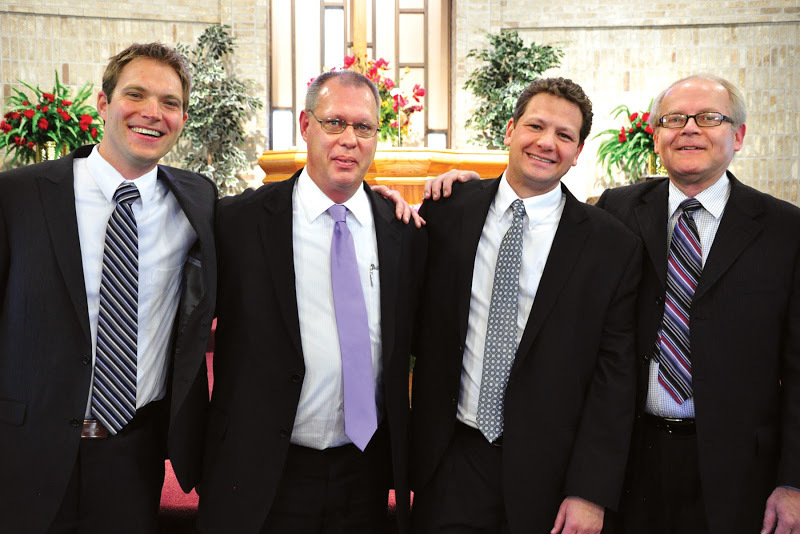 Al Bezuyen, who had been influential in encouraging Jeremy to pursue the ministry, led the service and preached from 2 Timothy 2:15 on “Christ Calls Pastor Timothy (and Pastor Jeremy) to Righteousness in Word and Deed.” Rev. Jacques Roets, who grew close to Rev. Veldman during a summer internship, gave the charge to the minister and spoke briefly from John 3:30 regarding a minister’s task to exalt Christ rather than himself. Rev. Mark Vander Hart, who was Jeremy’s Hebrew instructor and mentor at seminary, presented a charge from Ephesians 6:19-20, encouraging the congregation to pray for their new minister. Rev. Veldman closed the service by pronouncing the benediction. Rev. Veldman taught for three years at a Reformed high school in the London, ON, area prior to attending Mid-America Reformed Seminary, from which he graduated in 2006. A ten-week internship at New Haven URC in Vermont turned into his first ministerial charge when he was called and then ordained there in 2007. Having preached his last sermon in Vermont at the end of December, Rev. Veldman had a short “sabbatical” that included a two-week tour in Israel with a group from Covenant Seminary in St. Louis. Covenant URC consists of 245 souls. It meets for worship at 9:30 AM and 6:00 PM at 3724 Lovers Lane in Kalamazoo. The above article by Glenda Mathes appeared on page 12 of the March 20, 2013, issue of Christian Renewal.